BEST POSSIBLE F1 GRAND PRIX WORKOUT? Walking these Diary-curated GP destinations! So yeah, we all know that “sitting is the new smoking,” and the single most important thing we can do to combat this insidious threat to our health is … MOVE! And thanks to all the exciting F1 Grand Prix goings-on in our fair city right now, there are about a gazillion vroomy-good reasons to power off the couch, rev up the personal engines, and experience thet fabulous up close and powerful. READY SET GO! IMPT NOTE: CLICK ON TITLES TO LINK FOR MORE INFO. 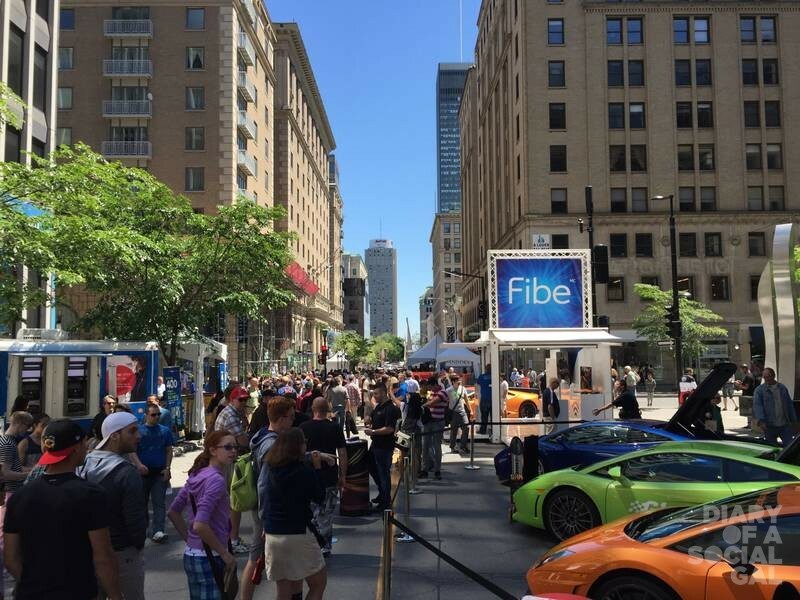 While Peel is always an interesting street, it really does explode potential during Grand Prix week June 7th- 10th, when organizers transform it into a full-on party, embraced by some 350,000 plus attendees. While admittedly heady just to walk and take-in the action, at some point, it pays to reward yourself for all that good walking with a stop at a Diary-approved hot spot terrace like the one belonging to Ferreira Café, where people-watching will continue to impress, as will the insanely delish and healthy seafood-friendly menu. It may be our oldest part of the city but well, the energy and magic that happens here is second to none, especially during GP! 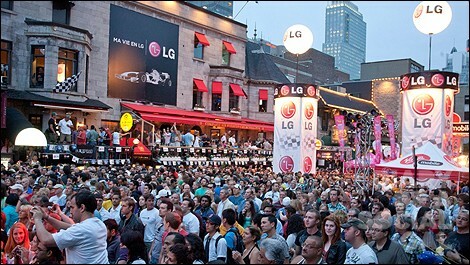 Streets like St. Paul will come alive with all kinds of entertainments, kiosks, and more from June 7th- 10th. On our side: Social Gals and Gents will be partial to a few select spots for our GP exercise / exercise rewards program (wink) including gorgeous Auberge Saint-Gabriel, where no less than six supremely glam events will be happening from Thursday through Sunday (including Saturday’s epic all day Bagatelle partying) as well as New City Gas, the backdrop for some very special Moët Grand Day celebrations on Saturday. 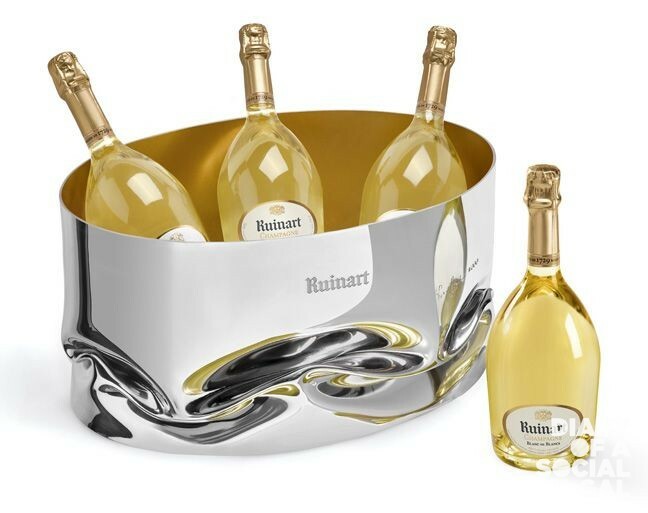 Finally, in our humble, no walks around GP would be complete without a stop at The Maison Boulud Ruinart Terrace, officially launching tonight, 5:30-7 p.m. Pairing brands like this is only a recipe for success at the highest level, and all the motivation one needs to get off that couch and MOVE towards it! Did I mention we’re a media partner? So there you have em revved up Social Gals and Gents, so many good reasons to make this year’s GP a fitness motivator!! !